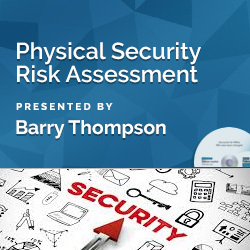 This webinar presents the essential facts on conducting a physical risk assessment. The use of actual photographs taken during our evaluations of financial institutions will show you common errors bankers have made. We will discuss the latest technologies that require new procedures to protect accountholders, and staff when working with cash recyclers or interactive teller machines. This program provides you with a blueprint of how to conduct your assessment along with the tools you will need to document the inspection. If it isn't written, it never happened. Remember this when you enter the legal realm trying to protect your financial institution. A proper risk assessment will provide you material for training staff, improving the security environment and facts to present to your board with your annual report. It provides the added benefit of demonstrating your financial institution took positive steps to protect accountholders, insiders and vendors.